1952 vintage Omega calendar watch. 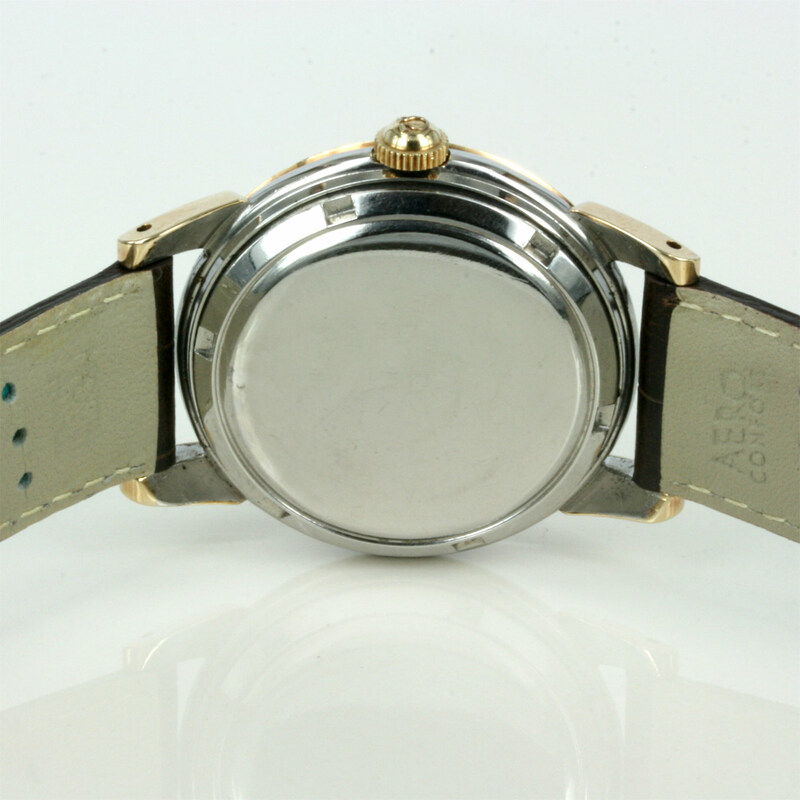 Product code: 1252 Categories: Sold Items, Sold Omega Watches. What a classic look by Omega – a vintage Omega Seamaster Calendar model in stainless steel and fitted with a 14ct gold capped bezel. This watch was made in 1952 and is the first year that it was introduced, and is fitted with the Omega 17 jewelled calibre 353 “bumper” automatic movement. The case measures 34mm across (plus the crown) and looks so sylish on the wrist. The dial is 100% original and has not been repainted and is in exceptional condition for its age having achieved a perfect patina. Perfect for any collector of vintage watches, especially vintage Omega watches, this is a real classic watch.